​Its that time of the month again!!! Just a quick reminder so you can take full advantage of your amazing memberships!! 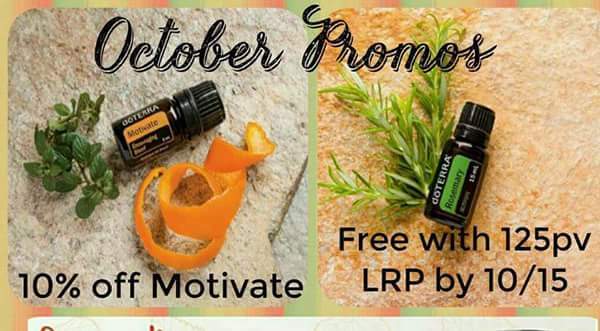 BY THE END OF THE 15TH (this Saturday) if you would like the bottle of Rosemary for FREE It will be added to your order automatically if your LRP totals 125PV or more. (Remember LRPs can be changed every month, have a minimum requirement of 1PV to maintain any points you have accumulated, earn you additions percentages of your product ordered for orders over 50PV, and earn you 100%of your shipping cost regardless of the PV total) Loyalty Rewards is a great part of the membership. Not sure what to get!?….. Remember the Special on Motivate blend this month!!! Love this oil!!! It’s 10% off! The Loyalty Rewards Program (LRP) is a great way of getting you family’s monthly supplements and vitamins!! 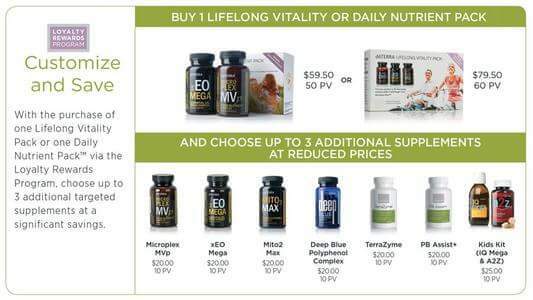 And when you add DeepBlue Complex and several others they are discounted when added with your Lifelong Vitality Pack or Daily Nutrients bundles… Let me know if you need assistance, or Customer service is Amazingly Helpful!! There are also the new vitamins and probiotics for the kids and kids at heart. And the new Spa Products, Serenity Oil has been reformulated (with Vetiver) and the new Serenity Complex will have us all sleeping better!! Anyone with a LRP PV total over 150PV this month will receive a chance to win over $200 worth of DeepBlue Products from Chelsea and her husband Derek. This is and amazing offer and if you order by the 15th you’ll receive a total of three (3) chances!!! Another OCTOBER EARLY BIRD LRP GIVEAWAY! Place your LRP order of at least 150 PV between October 1st and 15th and be entered to win one of TWO Emotional Aromatherapy sets! Not only will your 150 PV order this month qualify you for entry into this drawing, but you will also be in the DeepBlue drawing mentioned above and get your FREE 15 mL bottle of Rosemary oil. After you’ve placed your order let us know and we will get you entered! !